The recent Brand Breakfast braved the battle grounds between brand and fundraising to forge more peace. I have underwent many battles with fundraising colleagues over the years, yet lived to tell the tale. Here are my top tips for making brand work better for direct marketing. Charity brands often need to appeal to broad audiences, but identify which segments are essential for financial stability or will lead to growth. This is just one way to prioritise and will help you start to think about it if you’re struggling to do so. I often research brand development with existing supporters to ensure any change won’t alienate them, alongside potential supports to ensure new ideas will help to inspire their support. It’s also essential to use robust evidence to build the case for change, particularly with trustees. We heard lots of stories of brand teams being asked to approve direct marketing appeals at the eleventh hour. Or being negatively tarnished as the “brand police”, obsessed with the correct implementation of the visual identity rather than the success of an appeal. The ‘last minute’ is too late to achieve positive change, so we need to go back to focus on the strategy with shared targets. These could include building consideration to support. Amy Oberholzer, head of individual giving at Prostate Cancer UK, paved the way by saying: “cultivate good relationships and set clear expectations from the start”. There is a wealth of evidence that connecting with people through shared beliefs and values leads to growth. So, it is essential to understand what your supporters’ believe in and to make sure this is reflected in your brand strategy (vision, mission and values). Consider how you showcase this and how to promote it widely, such as on the “About us” section of your website, which can often be one of the most viewed pages on the whole website. Commercial brands often have a customer-value-proposition, to articulate what the brand delivers for the consumer. But a charity brand also needs a proposition at its heart to make it clear why a supporter should care and connect. Sometimes the brand vision (or purpose) is too big a hill to climb for a single supporter, so we need to break things down for people further. 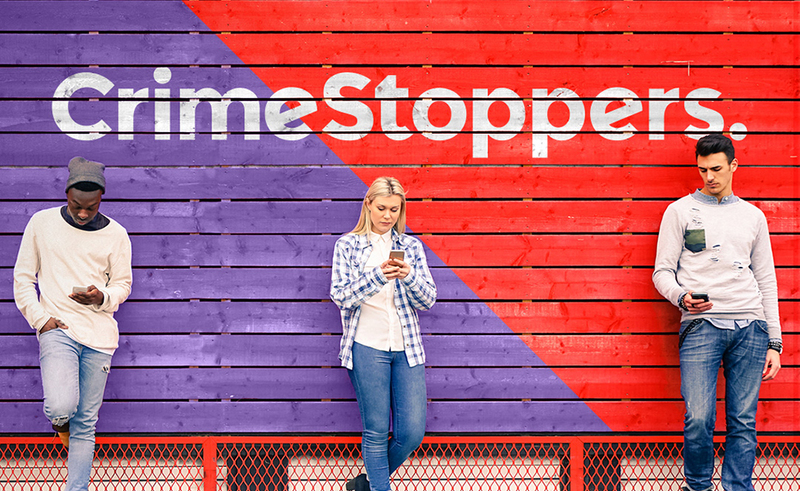 Crimestoppers’ new vision is “everyone has the right to feel safe from crime, wherever they live”. But their fundraising proposition breaks this down further with “protect the people you care about from crime”. This means individual giving will be targeted and relevant to the audience most primed to support, while also being realistic about what can be achieved. As Jane Cryer, head of brand at Stroke Association, reminded us: “it’s completely pointless to develop a proposition that fundraising can’t support”. I’d recommend a brand story with a fundraising case for support built into it. Create a copy platform which outlines the problem you exist to address, what you do to solve it, with a clear role for the supporter; a good narrative structure being ‘problem, solution, call to action’. Strong charity brands have the sense to convey their story for brand and fundraising purposes. They need to be able to show the problem or threat to provoke empathy for fundraising as well as showing the brand vision. It’s not a choice of one or the other. Yet too many brand guides are inflexible. Scottish Catholic International Aid Fund (SCIAF) is a good example. It has three distinctive types of photography; portraits, Scotland in action and impact overseas. Portraits can be used alongside case studies to help create empathy with dignity and empowerment. Scope’s upcoming new brand also has a style of portraiture photography, specifically for direct response marketing purposes, which was applied to a direct marketing appeal during the brand development in a design sprint. As Phillipa Bell, senior designer at Prostate Cancer UK, said: “don’t be afraid to flex the guidelines when required”. Individual giving fundraisers will not want to depart from their “banker pack” (the most successful appeal) if it brings in cash. So, be open to split testing new brand creative. Alternatively, come together with a collaborative team-spirit to “beat the banker”. Amy Oberholzer added: “respect the knowledge and expertise of everyone involved. Recognise everyone has different skills and play to their strengths”. To unleash more good, we need to move beyond the perceptions that branding is just about an identity, and brand managers are just the brand police. Moving forward, brand and fundraising need to respect each other and work together – it’s time to extend an olive branch to fundraising and demonstrate how branding can help to uplift results. As Jane Cryer added, summing up the optimism in the room: “it can work and when it does, it’s a brilliant thing”.